Besides the fact that your conscience might bother you, consider this: one foreclosure investor we know had a gun pointed at him for making a low offer by a house owner because a realtor had promised the occupant full price, and 10 other investors had knocked on his door! Do you want a high stress lifestyle? 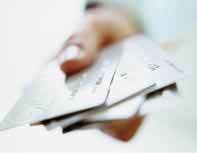 Choose foreclosure investing for your career. People in Probate Want To Sell Their House - Be a "Hero"
Often the sellers in probate are kids that have a large tax bill because of their elderly parents tax deferments, and they want, even need to sell. Many times sellers in probate are in another State, have their own property and kids and life, and they rather just get rid of it. You offer them cash, and a chance to get on with their life! Are you tired of all the competition advertising in your local paper, or lining up on the courthouse steps? Think of all the real estate investors you know. How many of them made their money by buying Probate Properties? Our guess is none. Why? Because for years Probate Properties have been a big secret that only Probate Attorneys know about. Not any more. Few people teach about Probate, and when they do they want a bundle! Jim Banks gives the most famous seminar, for $1500 a weekend or more. Gary DiGrazzio has a best selling book for $250. These and other people have good information, but we are willing to share everything you need to get started for a steal compared to these people. Where are the most important Courthouses? Where are the most important Newspapers? What do I say to an owner about why to sell their property at a good rate? How can I start tomorrow morning? What are some sample deals that have been negotiated in Probate Property? Ron will tell you about his deals including how he negotiated to buy a property at 70% of the market value, solved everyone's problems, then sold it within days. Editor's Note: This is a quote from a spontaneous testimonial letter we just got on this new book, more up soon. 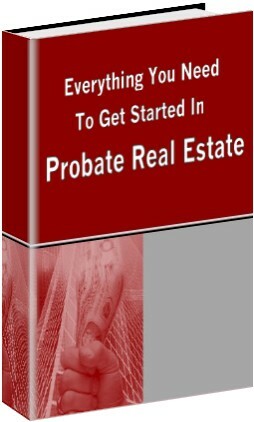 "Everything you Need to Get Started in Probate!" No book like this published anywhere! Our own testimonial on how to prosper in Probate Real Estate!